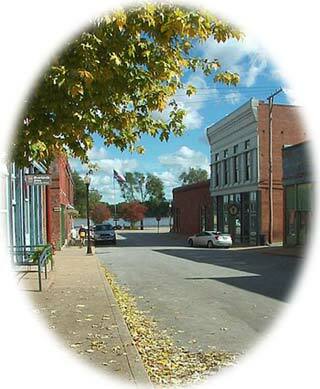 Clarksville is located on the Missouri Great River Road, a National Scenic Byway and one of the most scenic highways along the Mississippi River. It overlooks U.S. Lock and Dam 24, providing a close vantage point to view all river boat and barge traffic. It rests at the foot of Lookout Point/Sky Lift Hill, the top of which affords an 800 square mile view of the river and valley and is one of the highest points on the Mississippi River. This City, located in Pike County, is also one of the largest winter migrating areas for the Bald Eagle. Clarksville's National Historic Register District faces the Mississippi River, the last town in Missouri to have its riverfront commercial district still intact. It is filled with artisans, potters, glass blowers, jewelry designers, antique dealers, furniture makers, and specialty craftsmen. Clarksville offers its' own unique place on an incomparable route for travel to such places as the historic Mark Twain lore of Hannibal, the first Missouri Capitol and Old Town area of St. Charles, and the numerous attractions of the St. Louis scene.